The world is confronted with obesity problem. The numbers of obese people have grown tremendously over the past few years. A person falls under the obese category when his or her body mass index or BMI is over 40. Obese people continue to gain weight despite their engagement in strict diet and frequent work-outs. It is really sad to note that more and more children are becoming obese because of the wrong life style choices. There is so much risk in being obese. Obese person is confronted with several health hazards such as high cholesterol, high blood pressure and sugar level and heart ailment. Then there are other less fatal risks involved in being obese. These include gall bladder diseases, heartburn, incontinence, asthma, and sleep apnea conditions. Morbid obesity is a serious obesity problem wherein a person can no longer bring down his or her weight despite taking help from exercise, diet and weight loss pills. It is just unfortunate that these people can no longer use the more traditional methods of weight reduction. The only option left for these people to lose weight is surgery. There are a number of weight loss surgeries available today. One of the surgeries that are beginning to be popular today is gastric bypass surgery. Both obese and non-obese people oftentimes go for this surgery in order to have immediate loss of fats and weight. Gastric bypass surgery is considered as one of the most popular surgeries in the United States today. This procedure has been given different names and label. This type of surgery is also known as roux-en-Y gastric bypass, sleeve bypass, RNY bypass, laparoscopic gastric bypass etc. This surgery is a very good procedure for the morbidly obese individuals who want to get rid of the excess weight in a quick way. This type of bariatric surgery involves two procedures. In this type of surgery a small pouch is created above your stomach. The bariatric surgeon will staple the stomach to create this pouch. The small pouch like part of stomach will restrict your food intake. The smaller stomach impacts on the food intake in such a way that it curtails the capability of the stomach to absorb the calories in the food. The other operation is a duodenum and small intestine bypass. There will be a new opening in the small pouch which will connect to the section of the bypassed intestines. With this, food will bypass the old stomach and the other parts of the intestine, making the digestive process simpler and shorter. Gastric bypass surgery’s immense popularity emerges from the procedure’s different advantages. Obese people lose weight with this surgery and the discarded pounds remains lost forever. This is because you can no longer eat more foods because you have a very small stomach. Compared to other weight loss surgeries, gastric bypass has fewer complications. The procedure is done through laparoscopic surgery which means that you will only have small holes or incisions in the abdomen. This eliminates the long cuts in the abdomen that normally are left after surgical operations. And because you only have small incisions, you can recover and heal faster. The gastric bypass may be a very effective procedure for obese people and for people who find it hard to lose weight fast via the non-surgical ways. However, different types of people have different responses to this surgery. Some people will lose weight quickly because of this surgery while others may suffer from the problems brought about this surgery. A person undergoing gastric bypass may be exposed to some surgical and post-surgical risks. In worst cases, the patient may even die because of this surgery because the system may not work as expected. The patient may also suffer from risks like lactose intolerance, dumping syndrome, diet modifications, decreased nutrient absorption, osteoporosis, anemia and more. You may ask why the gastric bypass still works. The foremost reason is the improvement of obesity health risks after one has undergone this surgery. Some health conditions like sleep apnea, hypertension and cardiovascular problems can be addressed with the help of medications and improvement in the life style. Gastric bypass surgery is mainly creating a small space for foods for weight loss. This surgery helps in restricting the quantity of food intake which translates into lesser calories that can curtail the gaining of pounds. With the diminishing food intake, you will lose all the stored fats and calories until you reach your ideal weight. 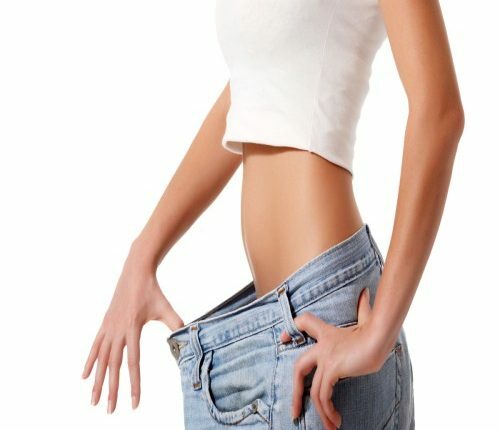 In the end, your goal will be to maintain a suitable weight that you achieve with the help of this surgery. Gastric bypass is a very good option for morbidly obese people who do not find respite through other processes of weight loss. 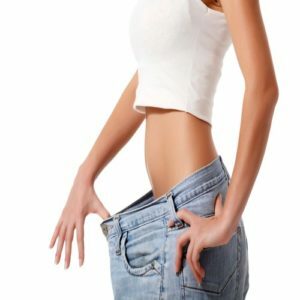 What is the safest solution for weight loss? This surgery or diet? Weight loss is need for us. It is essential to get a healthy life. I agree, obesity is really a major health problem and is picking pace in most countries now. i guess the sedentary lifestyle is a major reason for this, and of course the lack of exercise and healthy lifestyle habits too. This is a wonderful guide to gastric bypass weight loss surgery, though not many people in our country go in for it. Or perhaps weight gain isn’t a major issue our end, not as yet, though it’s picking up here too. Harleena, its nice to see you Agreed with the post, Am surprised to hear that most people in your country don’t go for it..